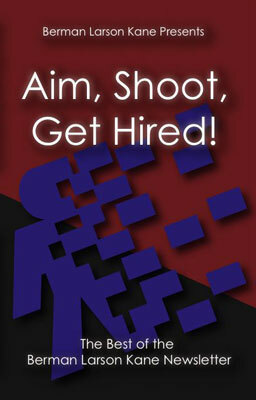 Aim, Shoot, Get Hired!As president of Berman Larson Kane, it is with great pleasure that I present some of our best newsletter articles in this book. For the past 25 years our wonderful staff has worked very hard to offer the “Best Staffing Options” to our clients. The career road often has many twists and turns and sometimes unanticipated icy spots. As you navigate towards your success, this book will assist you in predicting these hazards; guiding you towards achieving your career goals. I am sure that at least one tip in this book will enhance every reader’s career.